Yūrakuchō (有楽町) is a neighborhood of Chiyoda, Tokyo, situated in between the Ginza and Hibiya Park, near the neighborhood of Shinbashi. Unlike its tonier neighbor Ginza, Yūrakuchō provides a glimpse of Japanese life from the early postwar period, with its many izakaya (Japanese-style bars, denoted by their red lanterns known as akachochin) and outdoor yakitori restaurants, many of which are located under the train tracks serving Tokyo's JR Yamanote Line. Because of its many traditional Japanese-style eating establishments, as well as its location on the Yamanote Line with easy access to Tokyo Station, Yūrakuchō is a favorite drinking spot for businessmen on their way home from work. Yūrakuchō is served by several train and subway stations, including Yūrakuchō Station on the JR Yamanote Line and Keihin-Tōhoku Line, and Yūrakuchō Station on the Yūrakuchō subway line. 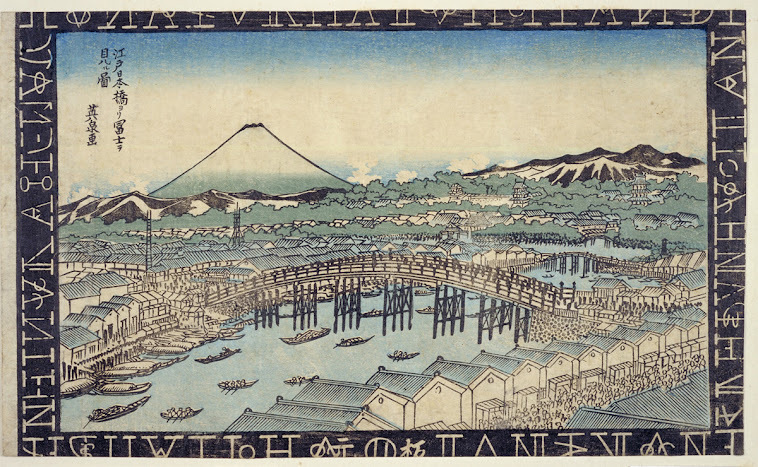 The neighborhood takes its name from Oda Nagamasu (or Urakusai, 1547–1622), younger brother of Oda Nobunaga. Nagamasu built his mansion here on land near the Sukiya-bashi Gate of Edo Castle granted by Tokugawa Ieyasu. In 1707, the Tokugawa shogunate established the Minami-machi Bugyō-sho, the office of one of the magistrates of Edo, in this area. 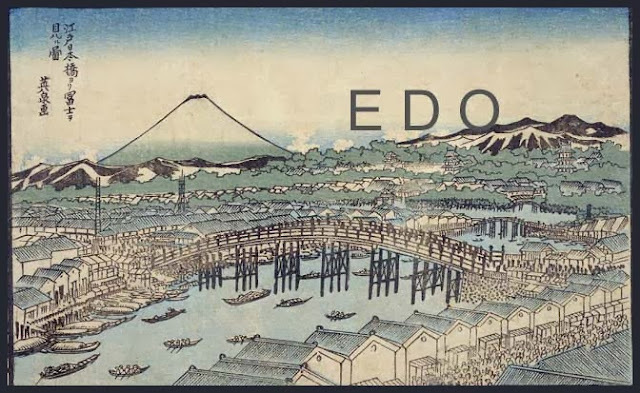 The place name dates from the Meiji period. It arises from an altered pronunciation of Urakusai.
. Sukiyabashi 数奇屋橋 Sukiyabashi Bridge "tea room bridge". (1548 – January 24, 1622) was a Japanese daimyo who lived from the late Sengoku period through the early Edo period. Also known as Urakusai (有楽斎), he was a brother of Oda Nobunaga. Nagamasu converted to Christianity in 1588 and took the baptismal name of John. was an accomplished practitioner of the tea ceremony, which he studied under the master, Sen no Rikyū. He eventually started his own school of the tea ceremony. divided his fief between his sons Nagamasa and Hisanaga. Nagamasa founded the Kaijū-Shibamura Domain, while Hisanaga became lord of the Yanagimoto Domain. This was the old name of part of the Yurakucho district, renamed in 1872. 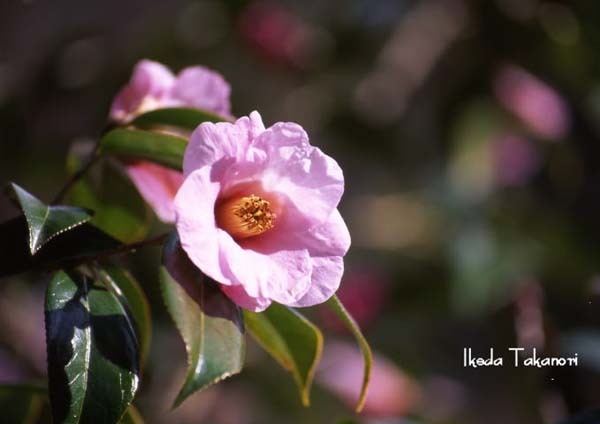 There is also a camellia plant named after Urakusai. He liked this plant very much for his tea room decoration. 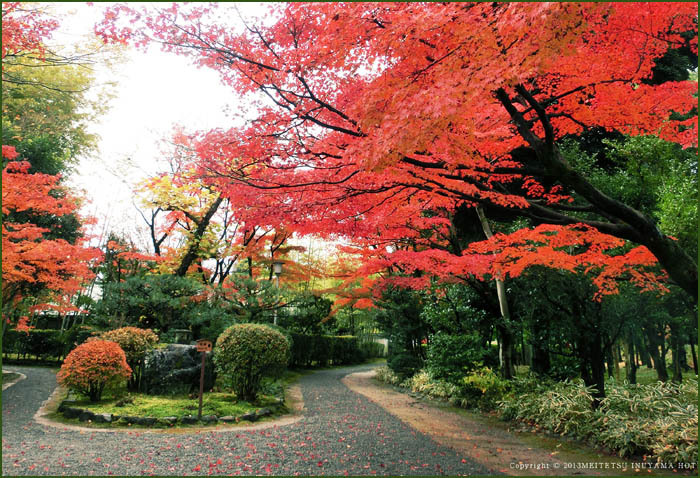 one of the famous gardens in Japan. 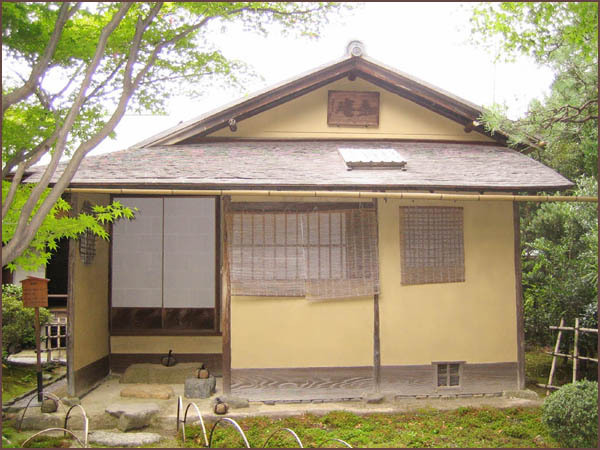 Jo-an (如庵) is a seventeenth-century teahouse in Inuyama, Aichi Prefecture, Japan. Said to be one of the three finest teahouses in the country, in 1951 it was designated a National Treasure. Jo-an was originally built c.1618 in Kennin-ji, Kyoto by Oda Urakusai, younger brother of Oda Nobunaga and disciple of Sen no Rikyū. Relocated a number of times, since 1972 it has formed part of the Urakuen gardens in Inuyama.
. kunpuu　薫風、kaze kaoru　風薫 scented breeze .